Yes, it is safe to eat mangosteen during pregnancy. Pregnancy is a time when you need to watch what you eat, despite what your cravings may be telling you. While exotic fruits like mangosteen may catch your eye and make you want to devour them, you’ll probably want to be sure about the safety of consuming them while you are expecting. And as always, Momjunction is here to help you! So, today we talk about how safe it is to consume mangosteen while pregnant and whether it has any health benefits. Mangosteen, scientifically popular as Garcinia mangostana, belongs to the family of Clusiaceae. The juicy fruit is purple in color and native to Thailand. The fruit is also popular as ‘queen of tropical fruits’, particularly in the southeast areas of Asia. The round, exotic fruit is full of nutrients that are beneficial for the fetus as well as expecting mother (1). Is It Safe To Eat Mangosteen During Pregnancy? Yes, it is safe to eat mangosteen fruit during pregnancy. However, as with everything else in life, you should only eat limited amounts of it while you are pregnant. The nutritional content of the fruit, like minerals, vitamins, and folate promotes growth and development of your fetus and safeguards your unborn baby from birth defects, abnormalities, and malnutrition effectively. So, you should eat mangosteen while pregnant. Have a word with your doctor to ensure that the fruit is safe for you. Avoid using medications or preparations containing mangosteen rind, as it may affect your fetus (2). Mangosteen contains a good amount of folate. One cup of mangosteen contains 61 micrograms of folate. 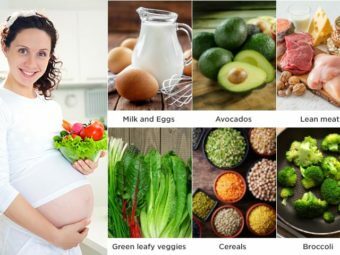 Folate plays a crucial role in preventing the risk of development of certain abnormalities and birth defects, such as brain and spinal birth defects, in your unborn baby. So, eating mangosteen during pregnancy protects your fetus from the risk of abnormalities (3). Mangosteen is a rich source of mineral manganese that is a vital nutrient necessary for the process of formation of cartilage and skeletal system in your fetus. The fruit promotes the growth of your unborn baby. Just one cup of fresh mangosteen juice during pregnancy provides you about 0.2 mg of manganese. Also, antioxidant properties of mangosteen safeguard you as well as your fetus from cell damage (4). Mangosteen contains a good amount of vitamin C which is a crucial vitamin necessary for good health of your fetus. Just one cup of fresh mangosteen provides you about 5.7 mg of the nutrient. Vitamin C helps boost your immunity and minimize the risk of contracting harmful infections that may cause harm to your unborn baby during pregnancy. 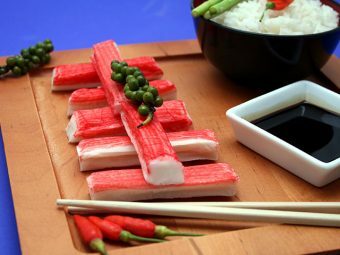 Also, the vitamin increases the production of collagen in your body which increases your skin’s elasticity to help you accommodate your growing fetus easily during pregnancy (5). Pericaps of mangosteen comprise compounds popular as xanthones that provide you anti-cancer benefits. Xanthones inhibit the growth of cancerous cells in your body during pregnancy. So, the fruit protects you and your unborn baby from the hazardous effects of the deadly ailment (6). Mangosteen is an excellent natural remedy for diabetes. Eating mangosteen in pregnancy helps you regulate your blood glucose levels effectively and protect you from hazardous effects of diabetes during pregnancy (7). 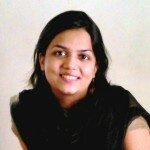 Medical studies reveal that greater than half of the pregnant women suffer from constipation troubles while expecting. Eating fresh mangosteen can help mitigate the discomfort resulting due to constipation during pregnancy. 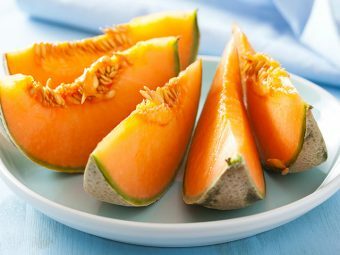 Just one cup of the fruit provides you about 3.5 grams of fiber that helps promote smooth bowel movements. 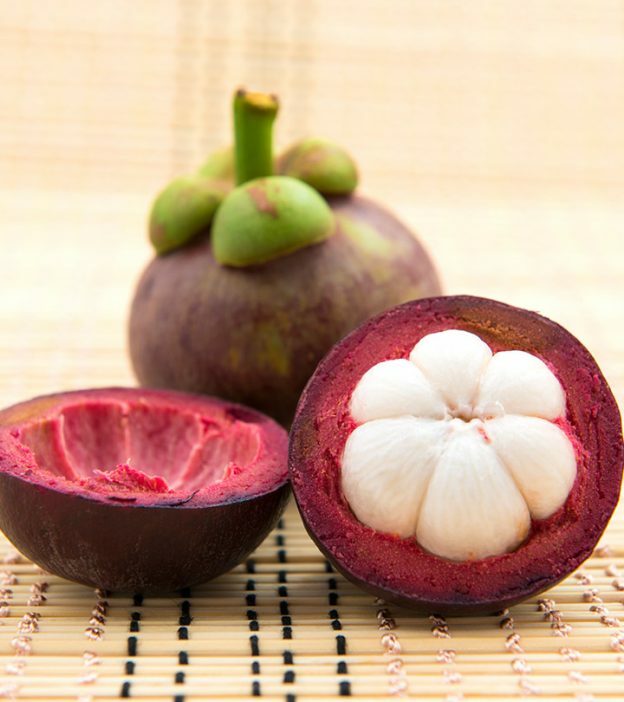 Also, fiber in mangosteen minimizes the risk of pregnancy complications such as preeclampsia (8). Did you enjoy eating mangosteen during pregnancy? How did you benefit from eating the nutritious fruit? Other expecting moms would like to hear your unique experience. Please leave a comment below. Is It Safe To Use Baking Soda During Pregnancy?